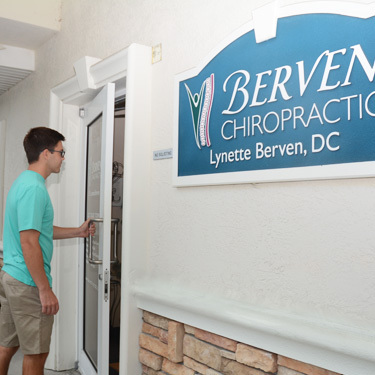 You’ll find that Berven Chiropractic provides you with a relaxed, calm environment that’s an escape from the chaos of your day. Our office manager, Lisa, is ready to welcome you and go over the necessary forms before you see Dr. Berven. You’ll sit down with Dr. Berven to discuss your health history and what has brought you in today. Then, we’ll complete a physical examination. The data from the exam combined with your particular situation will determine an appropriate treatment plan. You’ll receive a chiropractic adjustment right away because you shouldn’t have to wait to feel relief from your pain. This appointment takes about an hour. Your next appointments are quicker, taking just 10-15 minutes each. We don’t want you to wait and strive to run on time so that you can get your chiropractic adjustment and then return to your day. Some choose to visit Dr. Berven when they’re in pain, returning when they feel they need care again. Others want to optimize their health, in which case we recommend ongoing visits. No matter what your goals may be, we’ll be happy to work with you. Insurance is accepted at our office and can be used for your visits. 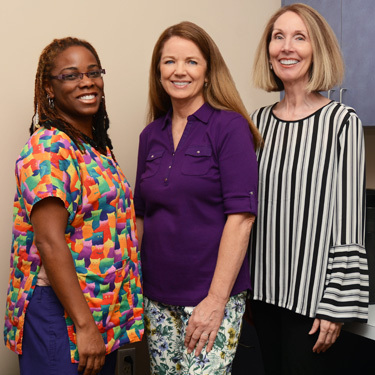 Contact us today to schedule your time with Dr. Berven!